Mr. Berger is the Managing Director of Ray Quinney & Nebeker and a member of the firm’s Intellectual Property section. Mr. Berger has served on the firm’s Executive Committee since 2009. Mr. Berger’s practice focuses on prosecuting and defending commercial litigation matters, and emphasizes intellectual property litigation, including patent, trademark, trade dress, copyright, and trade secret litigation. He assists a wide variety of local, regional, and national businesses in protecting and enforcing their intellectual property rights. Among other representations, Mr. Berger served as the lead intellectual property enforcement counsel for the Salt Lake Organizing Committee for the 2002 Olympic Winter Games. Mr. Berger has assisted clients in matters involving medical and electronic devices, software piracy, trademark counterfeiting, and Internet domain name disputes. He has also assisted clients in formulating and implementing brand protection strategies. Mr. Berger also regularly handles trademark opposition and cancellation matters before the Trademark Trial and Appeal Board of the United States Patent and Trademark Office. 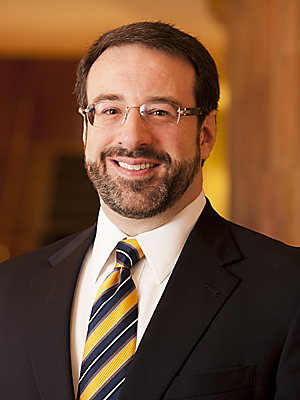 Mr. Berger is recognized in Chambers USA in Intellectual Property Law (Band 2). He has been included on the list of The Best Lawyers in America in Intellectual Property Law and in Commercial Litigation and was recognized by Best Lawyers as Lawyer of the Year in Intellectual Property Law (2016). He maintains an AV Preeminent (4.7) rating with Martindale-Hubbell, which is the highest rating awarded to attorneys for professional competence and ethics. Mr. Berger has also been selected for inclusion in Mountain States Super Lawyers (2007-2018) in the category of Intellectual Property Litigation. He was listed as one of the Mountain States Super Lawyers Top 100. This list highlights attorneys who received the highest point totals in the Utah nomination, research, and blue ribbon review process. Mr. Berger has been voted by his peers throughout the state as one of Utah’s “Legal Elite,” as published in Utah Business Magazine (2004-2019). Mr. Berger served as the firm’s Financial Director from 2009 to 2015 and as chair of the firm’s Associates’ Committee from 2000 to 2008.